Browse the full list or use these search options to locate a licensed teacher trainer near you. Mischa Decker, PT, DPT, OCS, PMA-CPT, a Partner at InsideOut Body Therapies, holds a Doctorate in Physical Therapy from the Duke University School of Medicine and a BS in Exercise and Sport Sciences from the University of Florida, and is an Orthopaedic Certified Specialist. 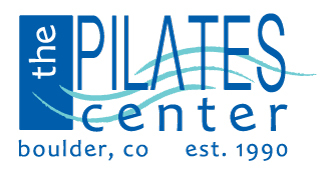 Mischa is a PMAÂ® Certified Pilates Instructor and trained at The Pilates Center of Boulder whose owners, Amy Alpers and Rachel Segel, studied with Pilates Elder Romana Kryzanowska, a long-time student of Joseph Pilates. She is a graduate of The Pilates Center Masterâ€™s Program and is a Licensed Teacher Trainer of The Pilates Center. She co-leads the InsideOut Body Therapies Pilates Teacher Training and is Director of the InsideOut Body Therapies Pilates-Based Physical Therapy Program. Mischaâ€™s love of movement began with her study of ballet, modern dance, and theater. After witnessing the effectiveness of Pilates in rehabilitating injuries during a ballet workshop, Mischa knew that she wanted to integrate Pilates into her physical therapy practice. Mischa developed the Pilates-Based Physical Therapy Program (PBPT) at InsideOut Body Therapies in 2006. PBPT is a client-centered approach to healing grounded in the moving body that assesses and treats the whole person â€” not just an injury or symptom â€” through Pilates exercises and traditional physical therapy methods. Mischa is a member of the American Physical Therapy Association, the North Carolina Physical Therapy Association, and the Pilates Method AllianceÂ®. She has training in manual therapy through Maitland Australian Physiotherapy Seminars and Michigan Stateâ€™s School of Osteopathic Medicine. April Ingham, a native to Evergreen, Colorado; April is passionate about the outdoors and all it has to offer for those who are physically active. Participating in sports her entire life; from skiing, basketball, tennis and hiking in her youth to triathlons in adulthood, April has an affinity for athleticism, and the happiness it brings to our lives. During her years of triathlon training and long distance cycling, April discovered Pilates as a means of cross training. After two years of Pilates, she discovered how the practice dramatically improved her ability to not only ride and run longer distances, but to also recover more quickly without low back and general muscle fatigue. Pilates has changed her life and body in ways that are vastly different, yet complimentary to endurance and strength training workouts. This is where her enthusiasm for sharing her experience with those who are passionate about their own health and longevity begins. On her off time, April trains with the Boulder Masterâ€™s Cycling Team and will plan to race with the Boulder Orthopedics womenâ€™s team throughout 2014. April received her Advanced Teacher Training Diploma from The Pilates Center in April of 2011.